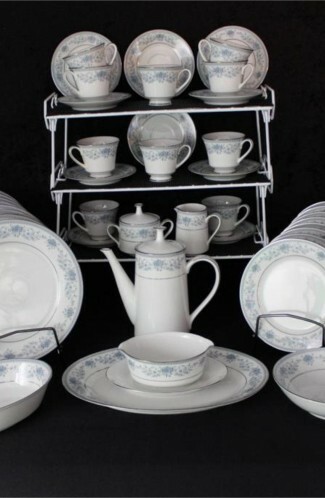 Elegant and understated pattern called the "Debutante" China by Sango China Company of Japan. 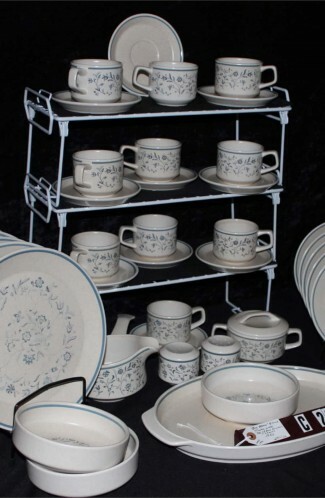 Produced in the early 1980's. 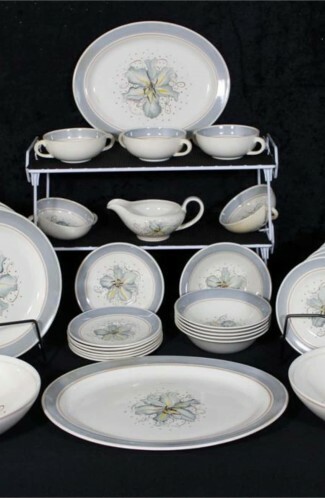 This is a (55) Piece Set and Service for (8) Eight, in White with a Band of Yellow Roses and White Star Flowers, Gray Scrolls and Leaves on the Rim. Has a Platinum Verge and Rim. 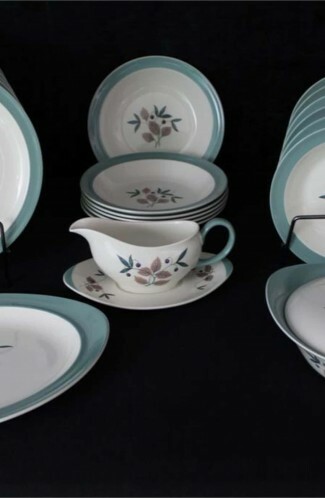 Pattern looks great when paired with Silver Chargers, along side the silverware. 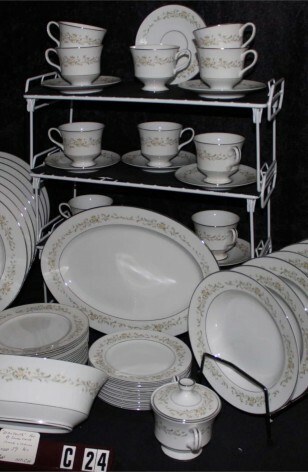 8 - Saucers - 5 5/8"
8 - Bread Plates - 6 5/8"
8 - Salad Plates - 7 3/4"